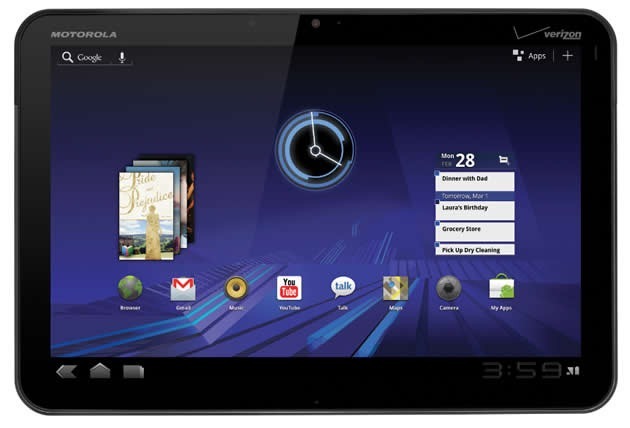 [Rumor] Is Android 3.2 Coming To The Motorola XOOM In A Few Days? Here's an interesting tidbit of information for the XOOM owners out there: there may be a system update heading your way within the next few days that bumps you up to Android 3.2. Details are pretty scarce right now, but here's what we can tell you: in the comments of AOSP issue number 16992 - which is in regards to the lack of Exchange support post-3.1 update on the XOOM - one line stands out. The line simply states that "there should be a 3.2 update coming within days, and that should help those of you with Xoom [sic]." Now, while it may not be a lot to go on, and there is no confirmation of the source aside from the fact that s/he appears to be a Google employee - this is still quite promising information. Aside from bringing support for 7 inch tablets, Android 3.2 is primarily a bug fix update. Given that, I'm sure this will be a welcome update to XOOM owners - especially if it fixes that pesky Exchange bug.